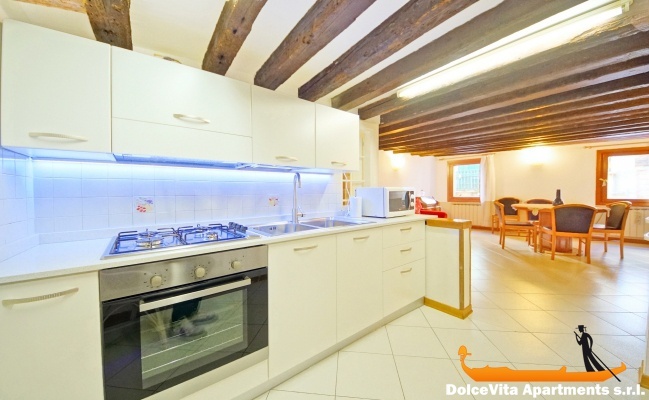 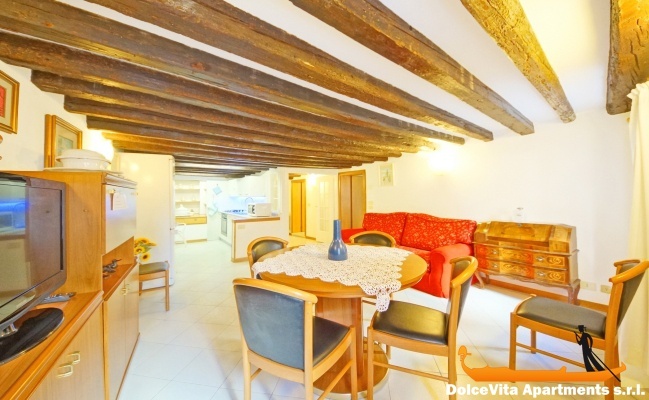 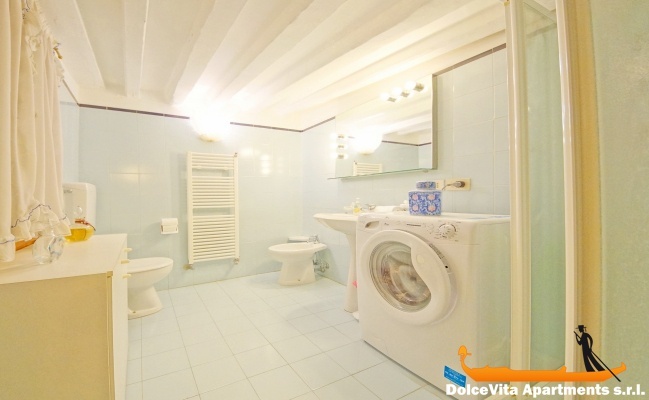 Apartment N. 10: It can accommodate up to 4 people, it is rented from 126 € per Night (not per person). 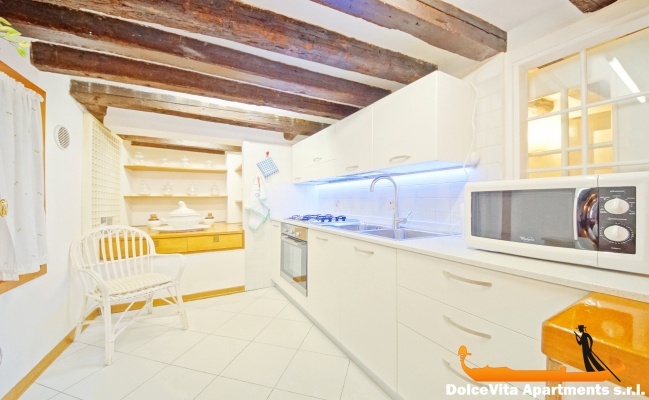 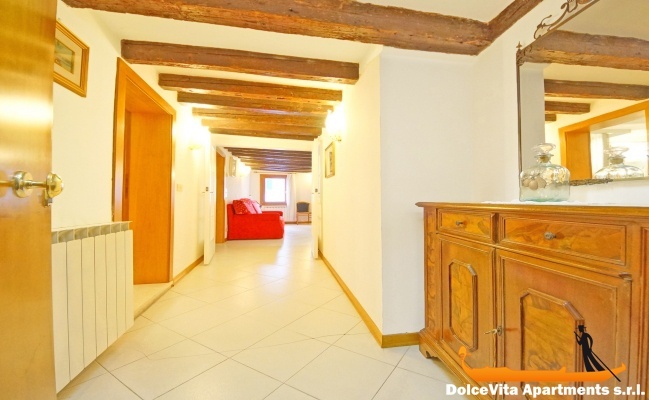 The apartment in Venice of 55 Square Meters, located on the first floor of a typical building of the "Ghetto Vecio" of Venice overlooks the square. 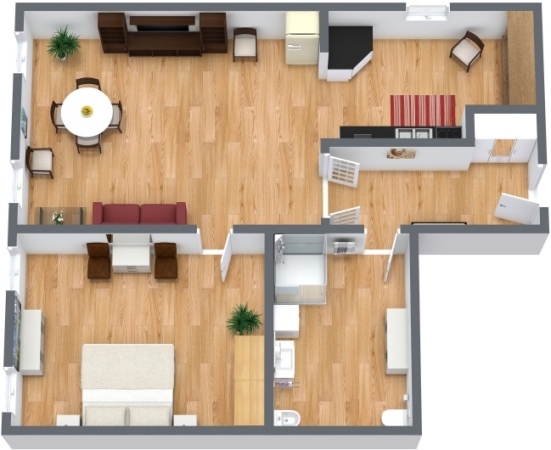 It is composed of entrance, bedroom, bathroom, kitchen, living room. 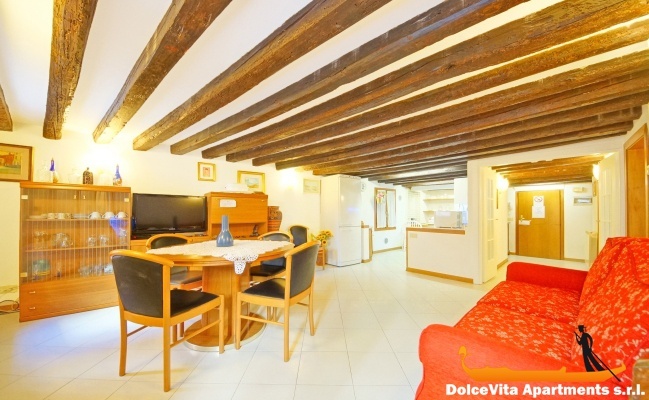 The ceiling is characterized by features exposed beams that give warmth and intimacy. 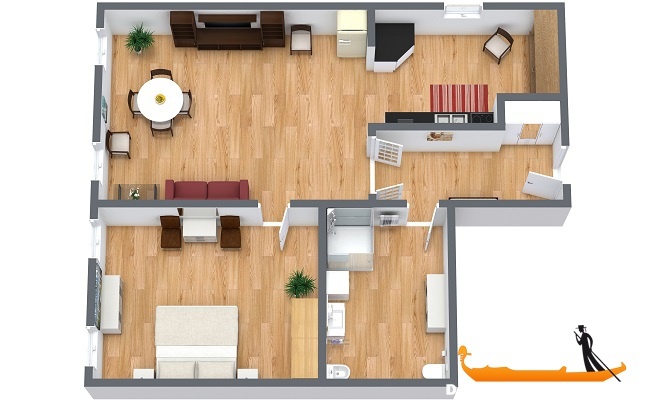 If you need additional beds, you can also book the adjacent apartment that can accommodate 5 more people! 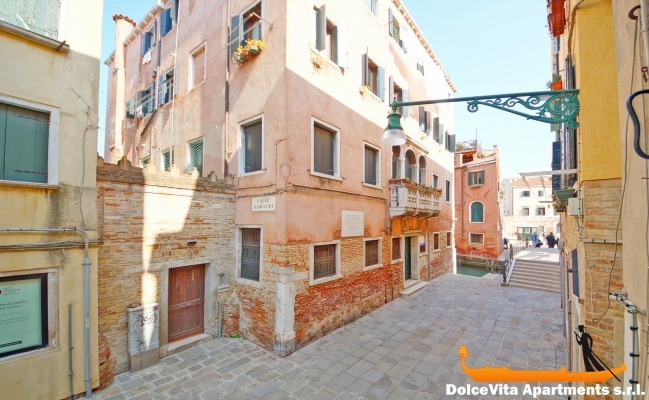 It is situated 2 minutes from the nearest waterbus stop from which you can reach the northern islands of Venice: Murano, Burano and Torcello. 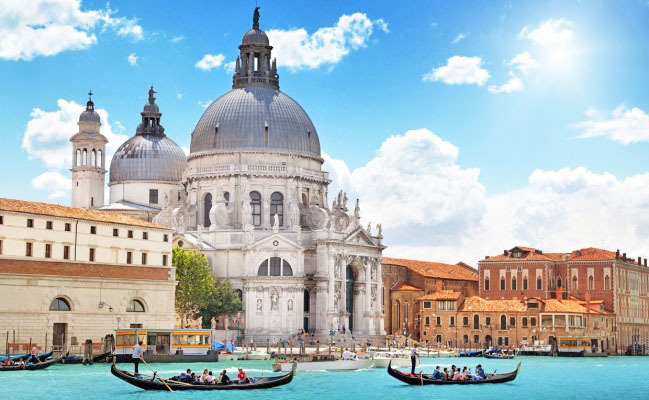 The Grand Canal is only 200 Meters from the apartment. 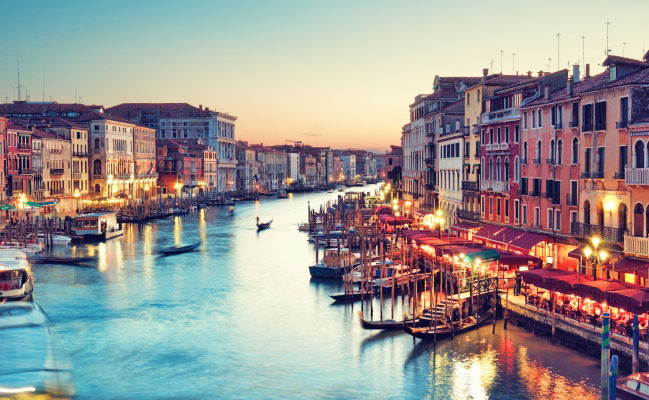 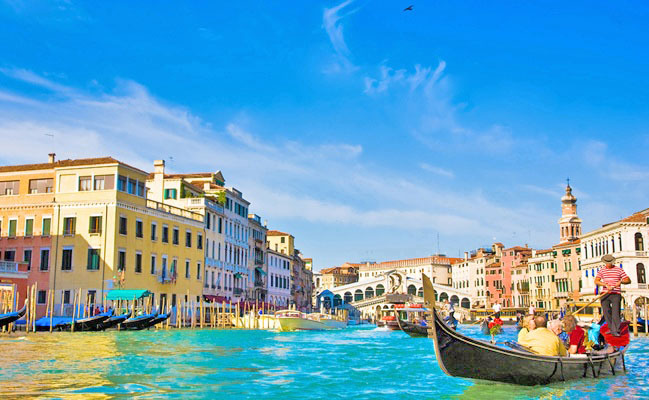 To reach the Rialto bridge or St. Marco square, it takes about 20 minutes.